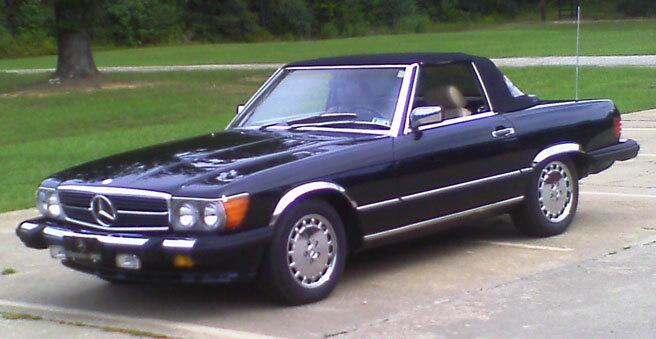 Mercedes 560SL Roadster. 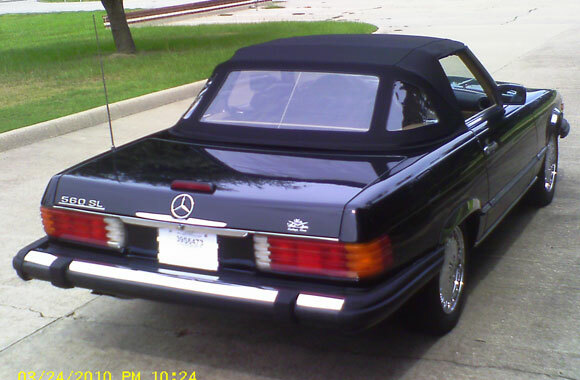 Both top black 560 SL Roadster V8 engine. New Tires and new chrome wheels. Recent repairs are idle control valve replaced, fuel head cleaned, fuel mix module replaced and vacuum leaks repaired. Also, new spark plug wires and plugs along with exhaust system and catalyic converter. 114,000 is the mileage. New convertible top. Paint in good and detailed. Lastly, a new Pioneer CD radio replaced the old tired Becker. Brakes were recently serviced and either replaced or rotars turned. Cruise control is inoperative. Interior is tan/cream. I have a 50ish of photos arranged in emails for immediate emailing.